It was a lazy Sunday afternoon and my hunger level was raising high with every passing minute and hence, I decided to give it a shot to the new installed Food Delivery App – Swiggy! Indian cricket fans were eagerly awaiting for IndVsAus match – a mauka for India get into finals. But, on this day in-spite of Indian Twitterati’s tweeting about the match, some brands managed to make noise by conducting contests and trended on this day on Twitter. My recent encounter with @AxisBankSupport and @LinkedInHelp motivated me to write this blog post. Social media has provided consumers with multiple ways to interact with companies directly and influence peers’ buying decisions. This has put a lot of pressure on businesses to have an active presence social networks. While it’s wise to use social media for customer service, research shows that you shouldn’t give up on more traditional support methods just yet. Have you ever wondered why some posts go viral while others don’t? Well, you won’t have to guess any more. It has nothing to do with luck, but instead it has everything to do with what you post, the time you’re posting, and even the words you use. For example, Facebook users prefer posts about positivity, technology, travel, health, and sports. And if you use the words: Facebook, why, most, or how within your posts, you are more likely to get more likes, shares, and comments. To show you how you can maximize user engagement, I’ve created an infographic that breaks down what you need to do to get more traffic on these platforms. 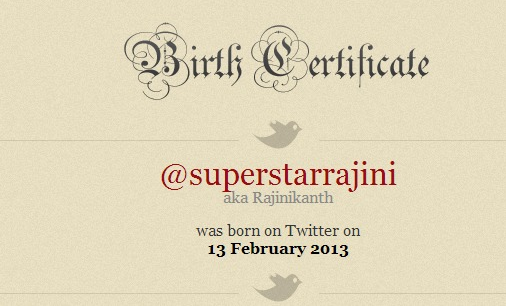 There would be hardly anyone on this Earth, or may be in this universe who hasn’t heard about the superstar Rajinikanth. He has been amongst us with his exemplary movies, email/Facebook/Twitter/Whatsapp jokes. He once again made it to the news though for negative reasons, thanks to the digital/social media agency that launched him on Twitter for his upcoming movie Kochaidaiiyaan. No wonder, the news spread like wildfire and caught attention of not only Twitter users but also mainstream media.